The Cannes Young Lions Competition issued a brief for a campaign to engage adults 24-45 to take action by raising awareness of the maternal health charity Every Mother Counts. 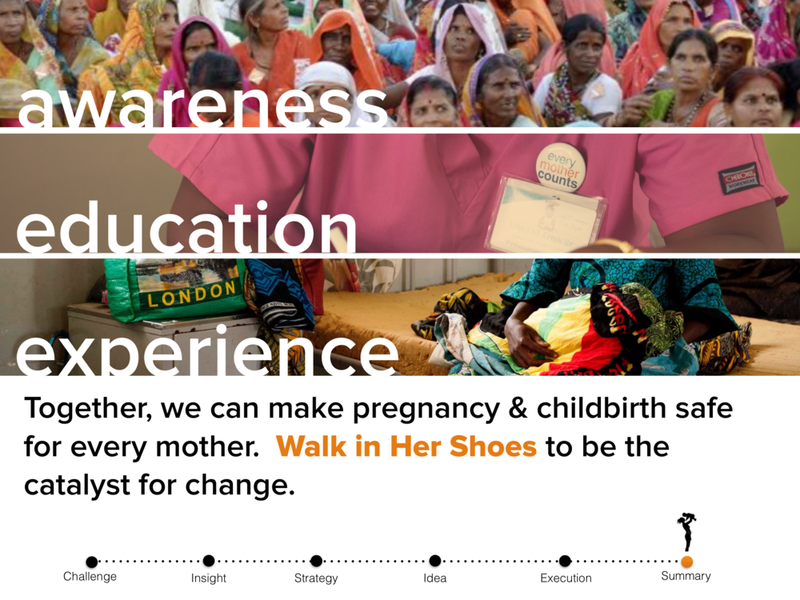 Combining the insight that people have trouble relating to a cause not directly affecting them, with the trend of wearables, the Walk in Her Shoes campaign engages the target by personalizing Every Mother Counts. 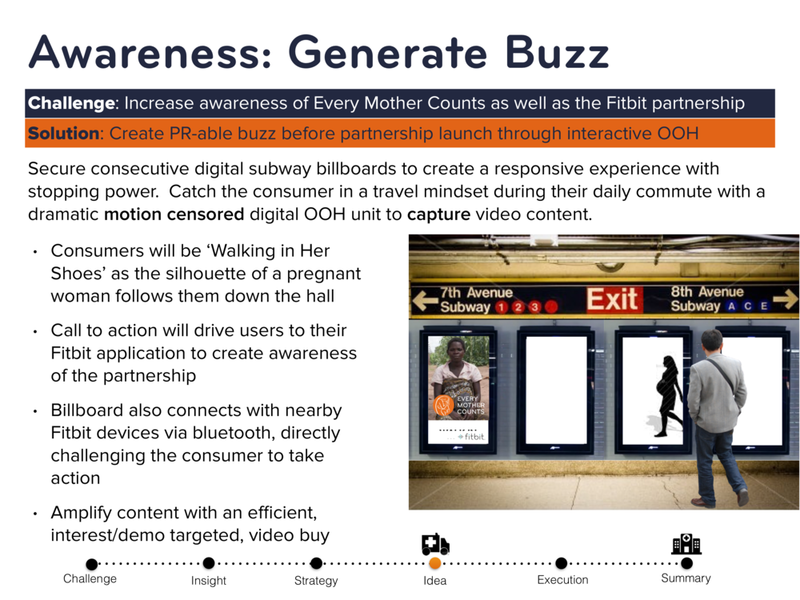 With a first to market partnership with Fitbit, this campaign reaches the target when their life parallels the struggles faced by pregnant women through native integration with the Fitbit app and email communications. The concept is inspired by a story shared in the documentary No Woman, No Cry, about a Tanzanian woman named Janet who must walk 5 kilometers while pregnant, just to get to the nearest health clinic. The closest hospital, reachable only by a car, is more than 40 kilometers away.